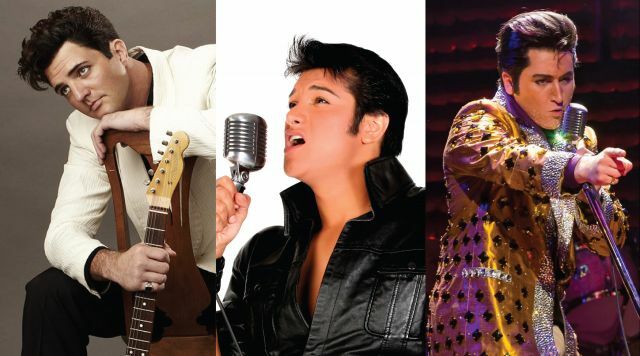 “King Explosion: Three Decades of the King” will bring together national award-winning Elvis tribute artists for three exciting performances! Joseph Hall, performing Presley’s hits from the 1950’s, has been paying tribute to the legacy of Elvis Presley since 2006. In 2008, he placed in the top 10 on NBC's “America's Got Talent” and made six TV appearances viewed by more than 90 million people. Hall has performed all over the world and won several awards throughout his career, including the "Spirit of Elvis" Award. He’s worked with Elvis Presley Enterprises as well as “Legends in Concert,” and has officially been recognized as one of the top Elvis tribute artists in the world today. Finally, Presley's hits from the 1970’s will be performed by Tyler Hunter. Tyler was the Grand Champion of the Elvis Explosion Competition in 2012, and that same year, represented Tupelo, Mississippi in Elvis Presley Enterprises' Ultimate Elvis Tribute Artist Competition. Hunter is an accomplished singer, songwriter, actor, and recording artist that has appeared in several mainstream shows across the United States including Legends in Concert. He portrayed the role of young Elvis Presley in the national tour of the Tony Award winning hit Broadway show "Million Dollar Quartet!"